Our support from the community continues to amaze us. We’ve come a long way from the day we sat in the empty building after signing the lease – wondering how we’d fill the space. I remember alternating between excitement and terror, but there was no time to wait. We got to work and reached out to the animal rescue community to help us make our dream come true. Second Life opened on January 8, 2011 to a crowd that showed their support by shopping. Our store wasn’t very full yet, but we were hopeful. Our inspiration, Lucky, was by our side. He was our senior spotted angel, and as our first Chief Smile Officer (CSO), he welcomed everyone. Lucky gave them a reason to come back and shop, to tell their friends, to donate and to volunteer. We now operate 2 upscale thrift stores, side-by-side. 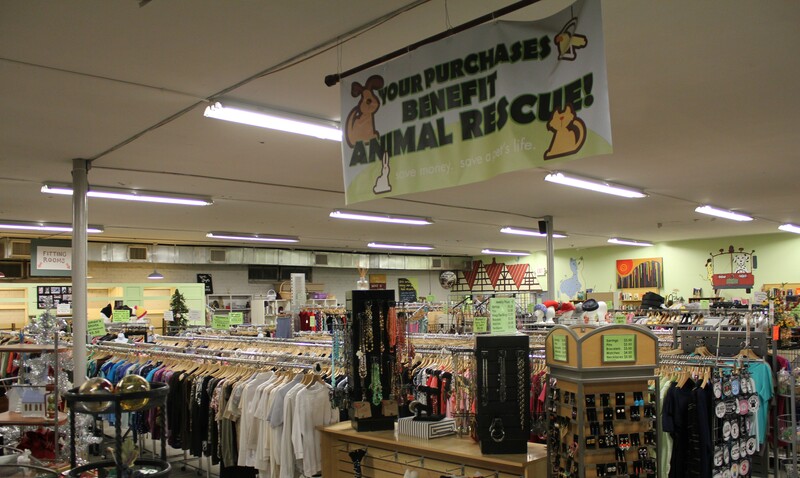 Our 5,000 square foot Main Store sells gently-used clothing, housewares, décor, electronics, books…and more! In 2013, we ran out of space and either needed to expand or stop collecting large donations. With this realization, our Furniture, Decor and More store opened next door in November 2013 and features furniture, artwork, lamps, décor, vintage and collectibles. It makes shopping easy. You can Park Once and Shop Twice. Our goal has always been to offer our customers a unique and fun thrift store shopping experience where every purchase benefits homeless dogs and cats. Our store is bright, organized and fun! All items are donated so every visit is a treasure hunt – you never know what kind of goodies you’ll find – and new items are added daily. 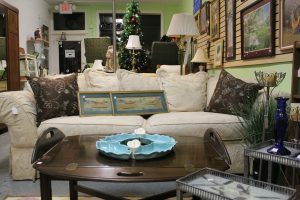 At our stores, you will find everything from antiques to vintage to brand new items. You’ll find our stores are geared to the bargain shopper and animal lovers- with fun animal motifs, rescue and shelter information posted throughout the store – and our Chief Smile Officer, Riley, roaming the store and looking for a good ear scratch. We host pet adoptions and we collect pet supplies to help struggling families. We are a part of the community…not just a thrift store. Second Life Thrift Store benefits animal rescues in the entire metro Atlanta area, including Decatur, Stone Mountain, Marietta, as well as parts of Georgia.